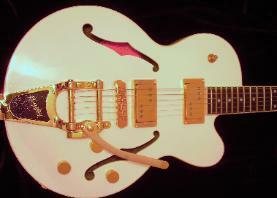 - Gold Lindy Fralin "Twangmasters" (8000 and 8500 winds), hum-cancelling single-coils in a humbucker form-factor. Very bright and articulate! 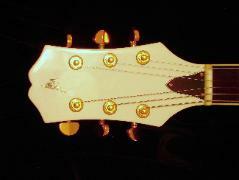 Gold locking Grover tuners and a handmade bone nut complete the headstock area. 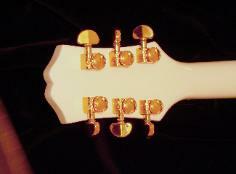 The bridge is a gold roller bridge with adjustable action, string spacing, and intonation. 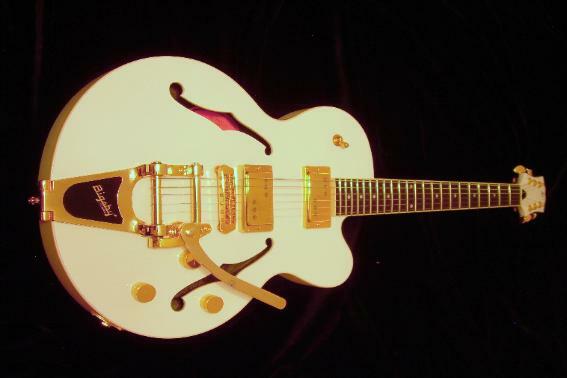 The Tailpiece is a gold Bigsby B-60 tremolo. The Gold jack is in a gold football-jackplate.